What 8 questions should you ask after cancer treatment ends? If you or a member of your family has undergone treatment for cancer, you’ve spent a lot of time with specialists who have carefully monitored your response to treatment, helped you cope with any side effects you experienced, and tracked your overall health and well-being. But what should you do after your treatment is completed and how can you be a proactive part of your post-treatment healthcare team? As your treatment comes to close, there are a number of questions you should discuss with your oncologist. These questions can help you understand what the process of recovery may include and what steps you can take to lower your risk of recurrence and improve your overall health. Before your final appointment with your oncologist, tell her or him that you would like to sit down and discuss the next steps as you begin your life as a cancer survivor. It may be helpful to set up a specific appointment with your doctor so that you can focus on getting answers to your questions without feeling rushed. Will I need to schedule follow-up visits with you? How soon and how often should these visits be? What can I expect to happen at follow-up visits? Are there physical problems that either my cancer or treatment may cause, for example problems eating if you underwent treatment for head and neck cancer or early menopause if you received chemotherapy for breast cancer? Are there psychological issues that I may face after treatment? What type of physician should I see for treatment? Does my cancer or any of the treatments I’ve undergone put me at an increased risk of developing other types of cancer in the future? For example, did the chemotherapy or radiation I received increase my risk of heart or lung problems? Do any of the medications I took effect bone density and increase my risk of osteoporosis? How likely is it that my cancer will recur? Are there steps I can take—chemopreventive medications, lifestyle and diet changes—that could help lower my risk of recurrence? What symptoms should I watch for that could indicate a recurrence? Should I contact you or my primary care physician for assessment of these symptoms? What type of monitoring and screening tests will I need going forward? What are the benefits and risks of each diagnostic testing option? How often will I need these tests? Who will oversee my healthcare now that cancer treatment is complete? Do I return to my primary care physician? Are there physicians who specialize in long-term follow-up cancer care and how do I find one of these specialists? What medical information about my cancer and treatment should I keep and provide to my primary care physician and any other doctors who treat me? 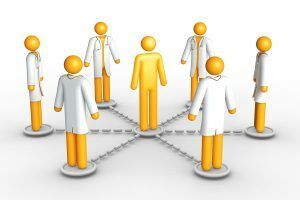 If you want help managing your healthcare and taking steps to reduce your risk of the cancer returning, a health advisor can connect you with top physicians and help you make sure all your medical records are collected, reviewed and stored electronically so you and your physicians can access them instantly whenever they are needed to ensure appropriate care.